After Amalekites destroyed his family forever, Benaiah is look for a place to forget and hopes he found it among David’s army, a ragtag group of men fighting to save Israel. Well, some of them are. Others are fighting just for the promise of captured wealth. As Saul gets more and more out of his mind, the hope of Israel is waning, including that of his army, including his ever loyal son Jonathan. Benaiah and the rest of the army have to call upon every skill in their arsenal and even some that aren’t and win the throne for their leader, if they don’t kill each other first. When I first picked this book I was drawn by the cover. As I do most of the time, I chose the book solely for the incredible cover. Then I found out that this whole series was being turned into a movie and my curiosity was piqued. This had to be a good book or else it wouldn’t be considered for a movie. The question is is it a good book to me? The answer: Yes! Cliff Graham crafts a fiction version of David and his army that seems so real it’s like it’s playing a movie in your mind. He makes each scene and character so believable you wonder how close to the truth he really was. The strongest and most realistic scenes in the book is the fighting scenes, which take up about eighty percent of the book. Naturally, with the majority of the book being about war, the book can get a little gory. However, the author warns of this before the book begins, giving you time to brace yourself and prepare for the gore. Keeping that in mind, the amount of graphic scenes was quite a bit for a Christian novel but keeping in mind the subject and storyline, I felt that the descriptive carnage only added to the grittiness of the story. One tip if you intend to read this story, don’t start it at night. Not because it’s scary, but because it’s suspenseful. It starts with a lion hunt that last four or five chapters and if you can only read one chapter wait until you can read more or else it’ll be all you’ll be thinking about until you can read more of it. The story never really lags due to the intense fighting scenes that keep you hooked. The author brings a new look on war in the beginning of the iron age and the struggles that the Hebrews had with trying to figure out how to craft iron into weapons. There was one thing that I would’ve liked a little more depth into, though, and that would be the lives of the family and women, that may just be because of the fact that I’m a woman, but it is something that I kind of missed at the end of the story. However, with how intense this story is, I’m not completely sold on the fact that it would fit into the story well. This book is the first this author has written and I have to say that I didn’t even realize it until after I was finished reading the book. It was just that good. So now I’m left asking myself if this is his debut and it’s this good how good are his books two years from now going to be? I can only hope and pray that his writing improves and not deteriorates with time. 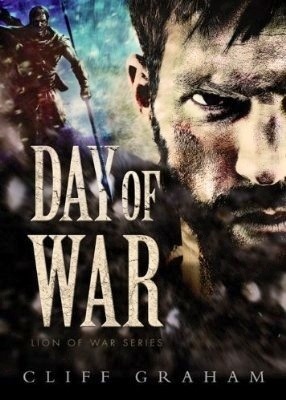 I definitely will be reading more from Cliff Graham and am excited for the next four in the Lion of War series as well as the movies. This book has made me a Cliff Graham fan and I can’t wait for more from him. A well written and thought out story that was extremely gritty and realistic. It’s perfect for men, and women who enjoy reading war stories. I give this book a five out of five. I was given this book in exchange for this review by NteGalley and Zondervan. All opinions expressed in this review are my own. Maddie Grande has been living most of her life as a thief and beggar in a tribe of street urchins and orphans in New Orleans. All she wants is to start over and leave her old life behind, even if her twin “brothers” can’t. The stealing and thievery is all they know. So when they kidnap a wealthy carpetbagger’s daughter, they force Maddie to care for her. Tom Abbott is in New Orleans to find Megan Lane, the missing sister of his client, Laura Foster, but he somehow picks up the kidnapping case and is led right o Maddie. They feel an undeniable attraction even though Maddie is an accomplice and Tom is forced to turn her in. The case may have led to Tom finding Megan, but whether or not he can tell her if it means giving her up is up to him. After reading Heart of Stone, I was ecstatic to find that there would be a second, even if it was far from being released. I patiently waited and waited and ordered it from Zondervan. When it arrived I eyed it wanted to devour it but knowing I had other obligations first. So I waited some more and watched as I got closer to reading this book. All I have to say is it was well worth the wait. 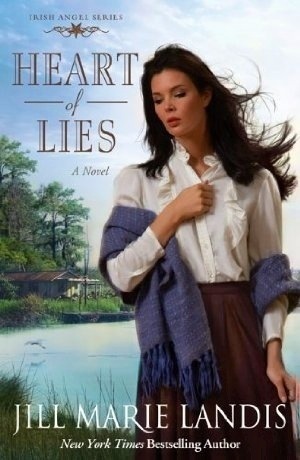 Jill Marie Landis hooks you into this book with vivid detail of the Louisiana swamp and the main character, Maddie, and her less than normal life. She paints images that stick in my head even though I’ve never been anywhere near a bayou in my life and she drags you into an intricately thought out storyline that never disappoints. I fell in love with Maddie and her unusual way of life from the first page and it only took me a few chapters to think that this installment of the series might actually be better than the first. By the end of the book, I was convinced. Though I loved the first, I love the second just a little bit more and if the rest are anything like these two sign me up now! The author decided, that for this series, it would be less about romance and more about reuniting sisters and redemption from their pasts. Normally for a romance book, I prefer the romance to be dominant, but this way is different and refreshing. I lets you focus more on the characters than it does what the characters are doing. Adding a whole new experience to romance and just reading in general. The author also decided to make the romance couples complete opposites. The first book was an ex-prostitute and a preacher and the second was an ex-thief and liar with a Pinkerton detective with a high sense of honor and principle. That as well is something I always like to read. The contrast always makes for differences and chases, which this book had plenty of. Something that this book didn’t have plenty of, however, was the Christian aspect to this book. It kind of lacked it and when it was evident, it was in a kind of skewed view to appeal to the sugar-coated side of readers. It didn’t really dig deep and there wasn’t a portrayal of any faith by Maddie and barely any from Tom. In this and only this, I found this book seriously lacking. Jill Marie Landis is an accomplished and award winning author and it shows in her fantastic storyline and great character development. Sadly the Irish Angel series must come to an end, hopefully not for a while, but when it does I will still be reading Ms. Landis’ books. I’ll dream of visiting her home state, Hawaii, every time I pick up one of her books. This book is great. It’s a light read and perfect for someone who just wants to relax with a good book or someone who wants to get lost in a historical romance. I give it a four out of five. I was given this book by Zondervan in exchange for this review. All opinions are mine. Gavin MacKenzie job at the Castle of Braigh is simple, restore the castle and protect the new laird and get out of there. But there are a few things standing in his way, one of which is the gorgeous Serena Boyd. He quickly becomes enamored with her and sets out to win her heart. Serena Boyd has a dark secret. One that could not only destroy love before it begins, but her future and her life. The last thing she wants is a ton of strangers crawling around the castle and the village, even if one of them is very handsome and charming. She refuses to let love grow, but does God have a different plan? 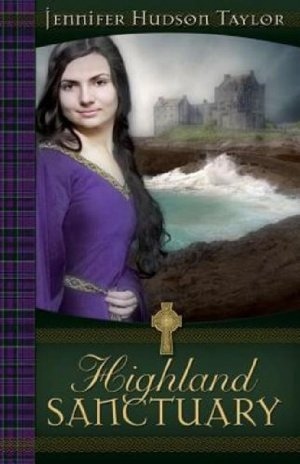 I first had the pleasure of reading Jennifer Hudson Taylor’s first book Highland Blessings on my Kindle and was ecstatic when I found out the sequel was available for review. I loved her writing so much, in fact her book was actually the reason I’m such a fan of books in this time frame. Ms. Hudson has a way of making a book based 1477 just come alive. Though the language is more inclined to how they spoke back in medieval times, the Scottish accents are accentuated and you can hear them in your head every time a character starts to speak. Another thing I noticed was that the author likes to make the heroin of the story have some sort of gift or disorder that makes people think that they’re possessed and want to burn them at the stake. This adds a ton of drama to novel that is very dramatic already due to the suspense that’s woven in as well. The story is diverse as well. It’s dominant genre is historical romance, but it could be categorized in suspense or drama in addition to historical romance. It brings a new perspective on how many genres a book could really be placed in without stretching the truth. Though it’s not advertised as such, it is a sequel to the author’s first book. But they can be read independently though I really wouldn’t recommend it. The first story follows Akira MacKenzie and this one follows her brother Gavin MacKenzie. This book deals mostly with Serena’s fear of being seen in one of her “fits”, which you later find out are seizures versus the suspense part of the storyline. And honestly, the fear of her being caught was way more suspenseful than the actual suspense, mostly because I called the culprit at a quarter of the way in. The romance in this book is appropriate for the times in which the book is set, so don’t expect hot and steamy; expect sweet and gentle. I loved this book. It was great to get read another top notch book based in this time line. The author articulates everything perfectly and stays true to the historical value of the story all while keeping the reader entertained. Here’s the strange part, one of my favorite parts was the ultimate display of love Serena’s mother showed her. If and when you read this book you will understand. Overall, top notch. Though, not as good as the first, it’s still a very good book. Though not recommended for steamy romance readers it’s perfect for the reader who just wants to curl up with a good romance to relax and get away for just a few short hours. I give this book four out of five. I got this book free from NetGalley and Abingdon Press in exchange for this review. All opinions expressed are my own.